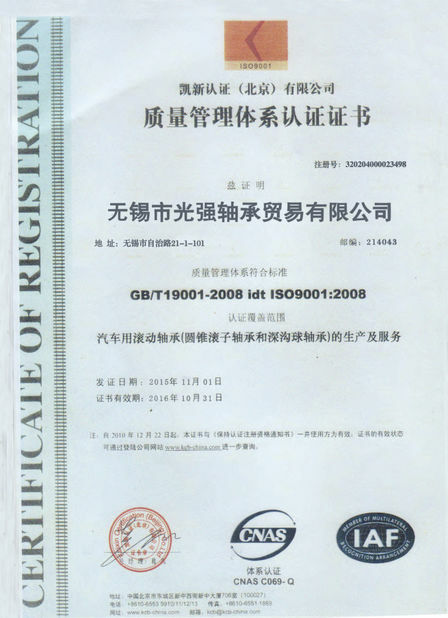 As one of the chinese Schaeffler agent,our company is so glad to hear this news. December 9, Schaeffler Chinese chief executive, Dr Zhang Yilin, human resources, enior vice President liu took part in the the awards ceremony which was held in Shanghai.Ms liu on behalf of schaeffler China research institutions accepted the trophy and certificate from the selection the organizers - outstanding Employers (Top latest Institute) .Ms liu lead the company team taking part in the competition all the way, she said: "we are lucky, because this is our first time to participate in the competition 'outstanding Chinese employers'. The' lucky 'is from our strength and effort." 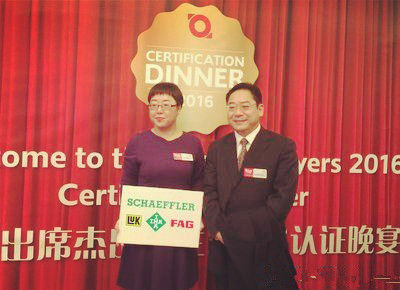 As one of the Schaeffler agent,we will learn their manage ability.our company will not just improve our workers sales ability or business ability,but we need also concentrate in their cooperation and team spirits. In order to our company long time running,we need learn more.